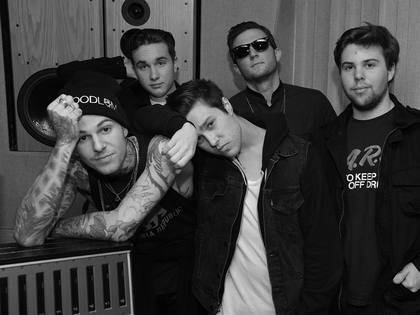 The Neighbourhood Announce Debut and Release New Video for "Sweater Weather"
Earlier today, alt/pop favorites The Neighbourhood announced their debut album, I Love You, and then followed it with a brand new video for the single, "Sweater Weather." This debut record will be out April 22nd via Columbia and will feature 12 tracks, some which we all have heard before. With that awesome news, the band wanted to celebrate and created this visual, which is the second video for the song. We find the group chillin' in a classic car with the roof down and palm trees around them. It also continues their black and white style, which has become sort of their signature. Watch the video below and check out the tracklist of their anticipated debut.